Publication: April 8th 2014 by Portable Press. 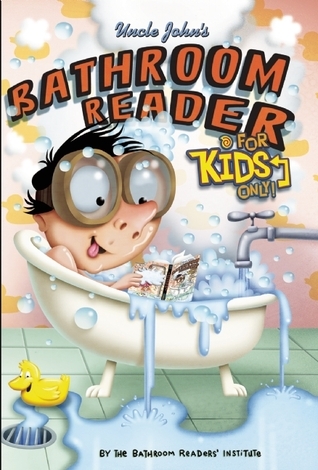 Here is an exciting chance to own the very first Uncle John's Bathroom Reader For Kids Only! in a hardcover edition with all new illustrations! 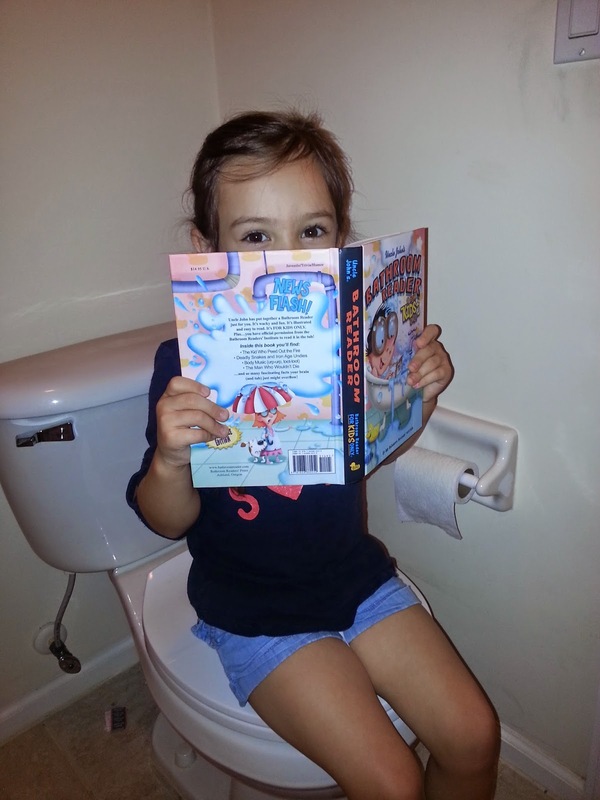 When our younger readers demanded a Bathroom Reader of their own, Uncle John put together this brain-boggling easy-to-read collection of facts, fads, quotes, history, science, origins, pop culture, mythology, humor, and more! Plus it's full of wacky and fun illustrations and Uncle John's famous "running feet" — those fun and fascinating facts on the bottom of every page. 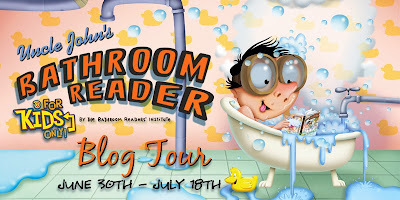 Curious young readers will learn about the real Dr. Seuss, baseball superstitions, the birth of The Simpsons, how carnival games are rigged, the history of dining on scorpions and tarantulas, shocking truths about thunder and lightning, and disgusting bodily functions like ear wax production and digestion (and why they're important), and much, much more! Reviewed by Kelly her husband, and several kids of all ages. I have had more laughter reading this book with family and in the bathroom. Come on, admit it, sometimes you need something to read! I took it this weekend to Florida to three precious girls. The oldest noticed it right away and mentioned "Oh there it is!" They tried to take it from me when they were at my house last. That was quickly vetoed! I can't part with it, there is still too much to learn and laugh; with all the fun facts, things that are silly, sports, trivia and stuff on every page that you might not notice until you read it again! Our favorite was about farts! Kids love to talk about farts! 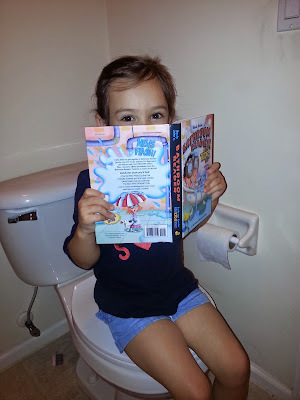 Okay, that may have been staged but she was willing to do it while going to the bathroom! After I told her it wasn't necessary, she almost seemed disappointed that I didn't let her get more time with the book! So, I came back to write up this post for this morning. And Dang it, they stole it from me!! So I can't write the details about the farts!! Revenge will be swift!! P.S. We also have several of the other Uncle John's books too!! I am getting the girls' mom to type out the fart page so I can add it to the post this morning. 1- An albatross can fly as fast as 25 miles per hour…while sleeping. 2- NASA invented the Dustbuster. 3- The slowest mammal is the three-toed sloth. Top speed: 6-8 feet per minute. 4- Costa Rica produces every baseball used in the major leagues. 5- A typical fast food milkshake contains more than 50 chemicals. 6- Plants grow better when you pet them. 8- Girls’ hearts beat faster than boys’ hearts. 9- In Medieval Europe, some dogs wore suits of armor. 10- The most children ever born to one mother: 69. 11- You’ll never guess what I read in the bathroom last night. Guided by their obsession with unusual trivia, amazing origins, and forgotten history, Gordon “Uncle John” Javna and his staff at the Bathroom Readers' Institute have made Uncle John’s Bathroom Readers a must-have for book and gift stores worldwide for over two decades. Gordon continues to expand his porcelain province from his throne room in Ashland, Oregon.